Partial side view of 'P.S. 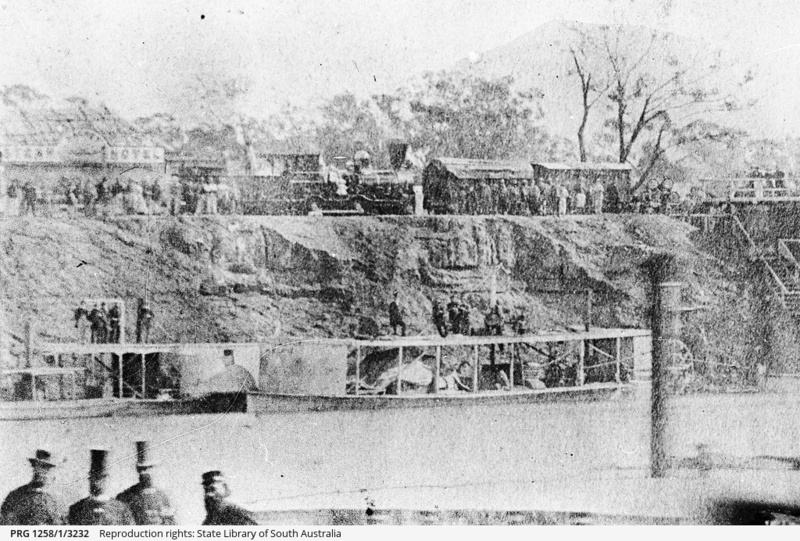 Riverine', centre rear, at Echuca, with 'Firefly' left, and 'Kelpie' right, and Steam Packet Hotel visible above on the river bank, with railway and crowd of onlookers. This photograph is a detail of PRG 1258/1/1182 (Godson number 96A/11/9), which was taken by Mr. Frith, photographic artist, at Echuca, August 1865. A report of the event is in the Riverina Herald, 26 July, 1865.